It's been over for weeks. Let's not get all caught up in crap like facts. Wow, He's right. I'm so burnt out I lost track of what month it is. I need a vacation. On the up side, I need to check the receipt date on my Maxim 9! Picked up a Salvo12, planning my free can to be Octane 45k!!! I had to goose hunt with earmuffs on this morning like some sort of title 1 plebian. 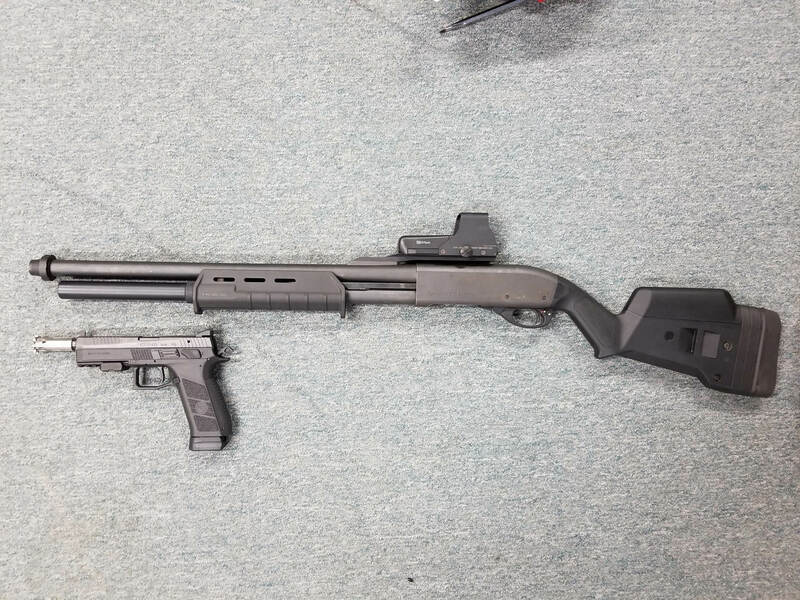 Capitol Armory has a similar deal this weekend, but the Maxim is even more expensive than during the last deal. I shot a Maxim 9 yesterday, and really want one. I think I'll wait to see if they get under $1000 again. Mine runs like a Swiss watch after the reservice and it’s been a hit with everyone who’s fired it. I’m kicking myself for not buying during the SiCo sale by the way. I lol'd. Right in the feels... Dove season just opened here and I missed my chance at more than a few that flew overhead from behind me. Could have heard them coming if it weren't for the damned earplugs. The 450 can would be useless because we'll be stalking pigs together.